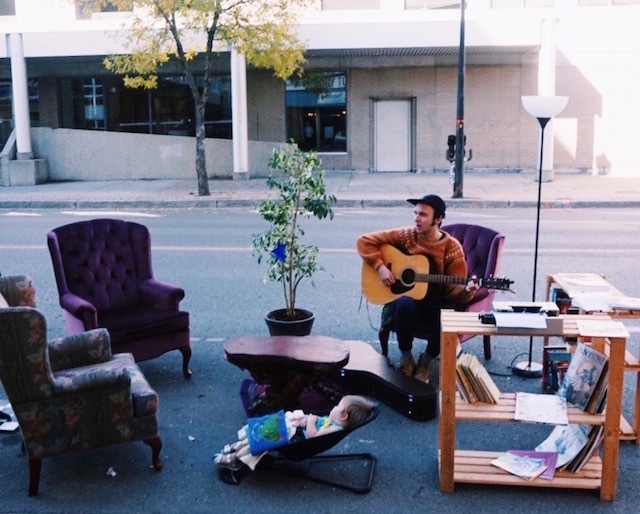 So, I'm curious: do you live in a city that does Park[ing] Day? I'll be honest: I didn't know this was a thing until I drove past one of the instalments on 11th ave yesterday. It looked like something fun was happening, so I got out my phone (don't worry, kind and caring Internet Strangers, I parked first) and typed everything I was seeing into Google. 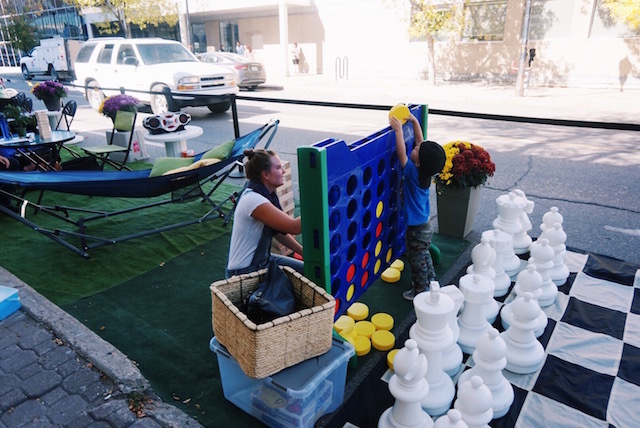 There it was: Park[ing] Day. #parking day. 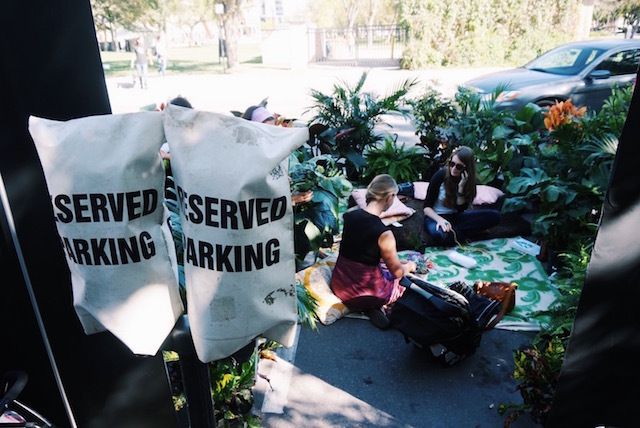 Parking Day. Depending on the source. Basically, from what I've gathered, businesses turned the parking spots in front of their buildings into fun hang out spaces for the day. One business made a little beach, complete with sand, water, free popsicles, and lawn chairs. The library made a forest out of house plants and had a little area for people to sit and make friendship bracelets. 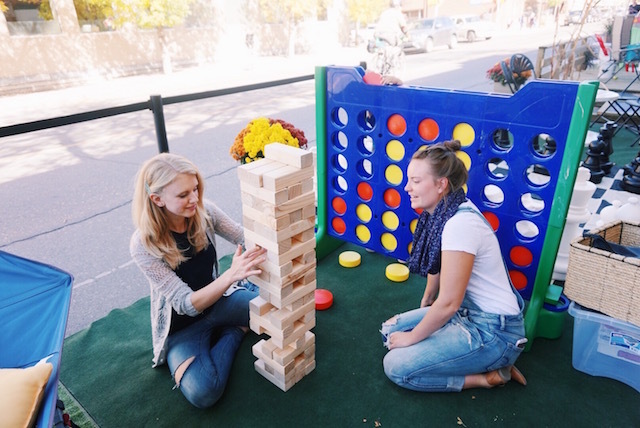 Another space had giant games of Jenga and Connect 4 and chess, while a coffee shop made a living room, right on the street. Free coffee and brownies, too. This is the kind of thing I love: something different, interactive, quirky, and fun. Next year, I have high hopes that more local businesses will get in on this, and more people will be in there checking it out. It was so sweet. So that was yesterday. 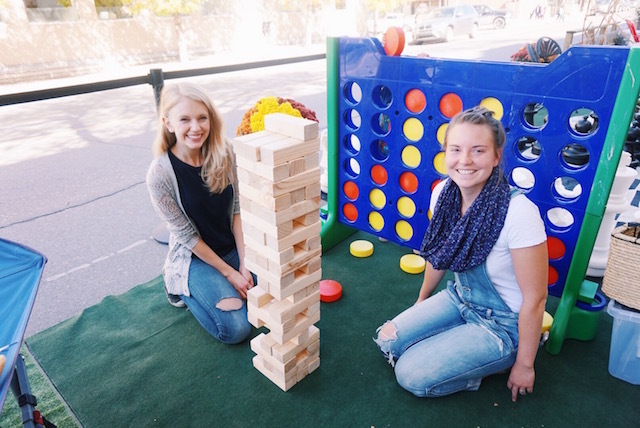 Today, there's other stuff happening downtown, just in case you're a local and want something to do and feel like meeting new people who are also into quirky, fun, free things. 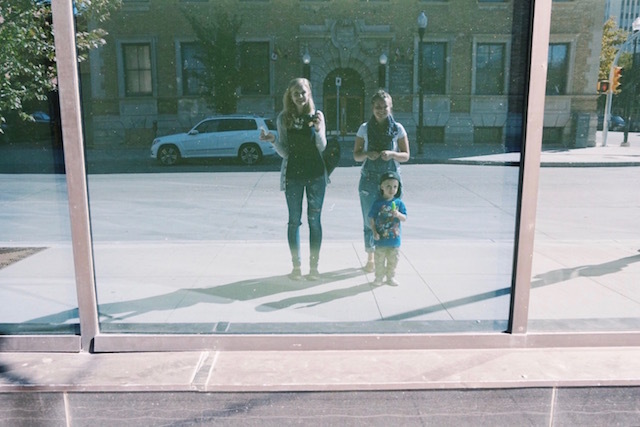 This Pop Up Downtown Walking Art Tour, for example (it's free, starts at 7pm), and this Instameet at the museum at 3. I mean, what's the point of living in a city if you're not going to interact with the other people who also live in the city?